Keeping your home safe and secure can often come at the expense of aesthetic appeal – many security fittings, gates, fences and balustrades are mass produced and unsightly. This places homeowners across the Sunshine Coast in an unfortunate position and can easily have you spending money on something that doesn’t reflect your true taste in design. 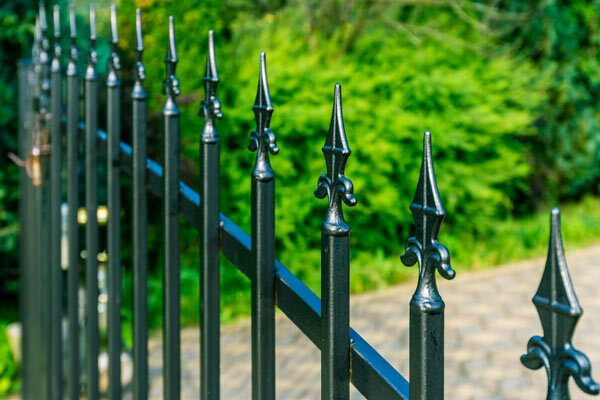 At Dean Wilson Iron, we have recognised this problem and crafted a range of wrought iron fences, gates, balustrades, security grilles and more, that are both functional and visually appealing. Wrought iron is the perfect material for these applications as it offers an unrivalled combination of strength, malleability and durability. At Dean Wilson Iron, we rely on our extensive experience working with wrought iron to craft some of the most intricate and unique creations in the Sunshine Coast. All of our work is created with the intention of combining practicality and design so that our clients no longer need to compromise on looks to get products that will work effectively and last for decades. Our wrought iron fittings can be tailored for indoor and outdoor applications; we can create anything from indoor balustrades that will fulfil your legal requirements with an understated elegance, to outdoor gates that will add an ambience of grandeur and prestige to your property. We recognise that every one of our clients will have different needs and we handcraft each of our products in close consultation with you, to create a product that is unique and perfectly suited to your specifications. All of our wrought iron is finished immaculately in a manner that will safeguard against rust and maintain a flawless finish regardless of whether it is indoors or exposed to the harsh Sunshine Coast climate outside. If you feel that your home needs a unique touch, then contact us today at Dean Wilson Iron for the most distinguished and designer wrought iron solutions. Get in touch with Dean-Wilson Iron for a consultation to learn more about feature the wonder of wrought iron in your home or business. Fences, gates, security installations and balustrades can all play a significant role in the appearance and ambience of your home. Fences, gates and external security grilles are all visible from your home’s exterior and we recognise that you are going to want a visually appealing design for this reason. 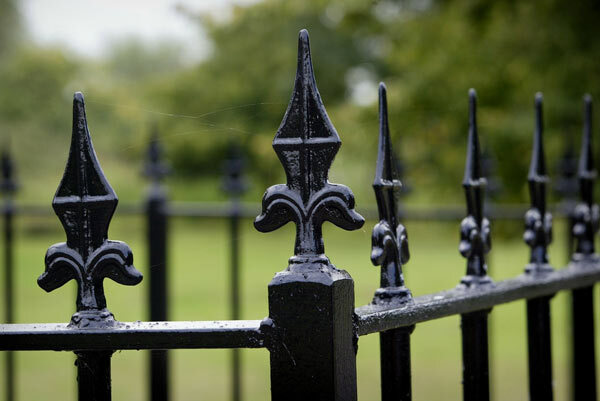 To account for the importance of aesthetic appeal, we handcraft each of our wrought iron products to an impeccable standard of quality – each product is intricately designed and flawless in terms of quality. This means that you can adorn your home or its entrance with fencing and gates that are unique and elegant, giving you the leading edge in home design. Similarly, our security grilles will not only look great, but they will also serve as a strong and robust barrier against any unwanted guests. Our services can extend to your home’s interior as well; we have a wealth of knowledge and expertise when it comes to crafting designer balustrades for balconies, staircases and more. At Dean Wilson Iron, we are familiar with homeowners’ legal requirement to install balustrading where there is a drop of one metre or more. We feel that this does not need to have a negative impact on the interior of your home however; rather we see this as an opportunity for you to showcase your own style with a designer wrought iron balustrade that is sure to be the focal point of your interior or balcony. Unique designs to cater for your individual style. Installation that will complement the immaculate design and functionality of the product. Here at Dean Wilson Iron, we maintain a strong focus on unique and personalised designs – we recognise that your home reflects your own style and we strive to deliver a product that will complement this. To make sure that your design vision is brought to life by the finished product, we adhere to a unique service process that accounts for each of your needs and enables us to implement a design that suits you. Our foremost priority is ensuring that you get a wrought iron product that perfectly suits your requirements. Whether it is a fence, gate, security grille or balustrade, we demand the best for you and to achieve this we like to discuss your needs before we commence the build. Doing so enables us to ascertain the nature of the products you are looking for, the design that will best suit you and your style, and the purpose that it will serve. During this discussion, we like to cover some factors that might affect your product including the area of your home in which your product will be installed and, most importantly, how you would like your finished product to look. This is also a great opportunity for you to outline any concerns you may have and seek clarification on any points of confusion. We welcome your input and instructions during this stage of the process and aim to work with you towards an ideal solution. Once we have discussed the features of your wrought iron product, we will use the details that you have provided us with to develop a quote. To provide you with this quote we need little more that some rough dimensions and measurements, as well as some information on the type of designs that appeal to you. The team here at Dean Wilson Iron understand that your time is important to you and for this reason we strive to provide you with your quote as soon as possible. In fact, with some measurements and design information we can issue you with a rough quote instantly, allowing you an abundance of time to consider your options. Once you have decided on the design and style that best appeals to you, we can begin work. 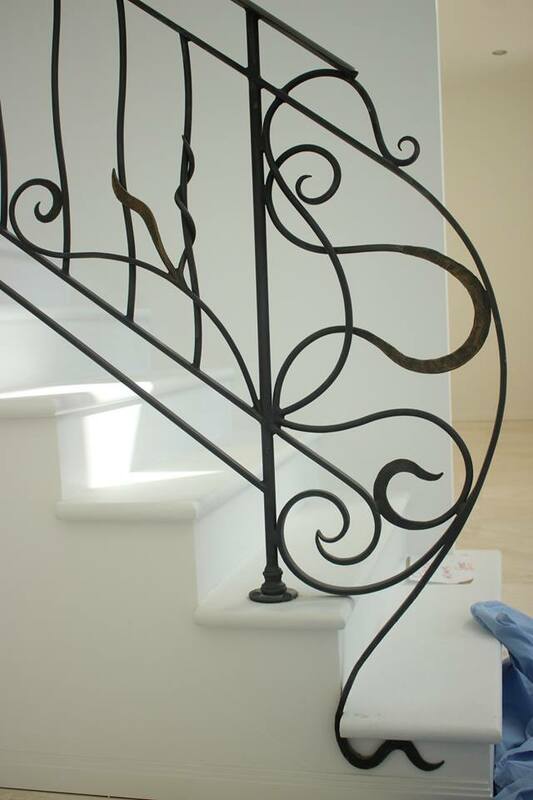 Using the information you provided us with during your initial consultation we can create a wrought iron product perfectly tailored to your home and your needs. During every stage of our process, you remain at the forefront of our priorities and we will ensure that you are fully informed throughout the entire process. We value your input above all else; we will keep you updated by way of progress photos and we invite you to inspect the product during various stages of its completion to ensure that our work is in line with your vision. This enables us to create a wrought iron solution that is both unique and practical, based entirely upon your specifications. Once we have completed your wrought iron product to your satisfaction, it will be ready for installation. The team here at Dean Wilson iron have considerable experience working with wrought iron and this extends to its installation. Our experts are well positioned in terms of tools, experience and expertise, to install your product to the highest possible standard. We understand that the design appeal, practicality and functionality of your creation depends not only upon its manufacturing but also its installation and because of this, we undertake every installation in a manner that will complement the purpose of the product, its design and your home as a whole. If you are in the market for a fence, balustrade, security grille, gate or any other such wrought iron products then contact the team at Dean Wilson iron today. We specialise in unique and designer wrought iron solutions and can provide you with an instant quote based solely upon some rough measurements and design information. If you have any queries or would simply like to view some examples of our work across Southeast Queensland, then you can find us on Facebook or speak to one of our experts. #1 Wrought iron products appeal to me, although I am concerned about rust. How do you address this? As with many metals, iron does have the potential to rust, although with the correct finish this is not an issue. We begin our rust prevention process with a grade three sandblast, which is followed by the application of a protective zinc layer and finally, a choice of decorative powder coat or hand-rubbed natural iron finish. These serve as barriers between the metal and the atmosphere, thereby ensuring that your wrought iron product will not rust. #2 What is the length of time that you will need to complete the product? Given that we handcraft each of our products, we recommend allowing as long as possible to ensure the best finish. Generally, our process takes 6 to 8 weeks from the design phase to the finished product, which means that it is usually best to get in touch with us while you are still designing your house or renovation. #3 I like wrought iron, but I am not familiar with what is required to get a design, or what it might cost? Here at Dean Wilson Iron, we strive to take care of the entire process for you. We will guide you through the design stage in a manner that allows us to work together and develop the perfect design for you. During this initial consultation, we can also offer you a rough quote based only upon some measurements and design information. #4 Does your work come with a guarantee? We complete every one of our products to the highest possible standard of quality; all wrought iron solutions created by the team at Dean Wilson Iron are designed to maintain their impeccable finish under any conditions. 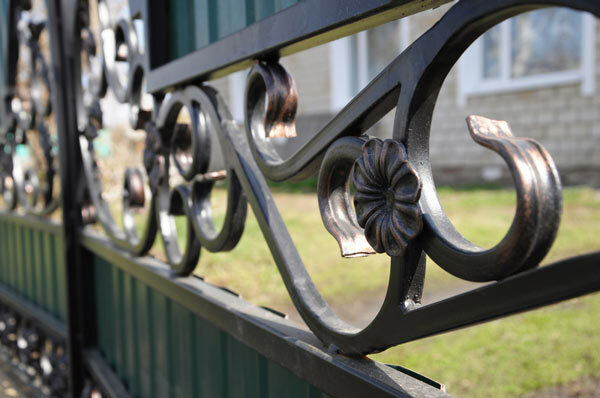 As a testament to our dedication to quality and our faith in our products, we guarantee all of our wrought iron solutions for ten years, against rust, manufacture and installation.